According to Adobe Analytics, this Cyber Monday was a bonanza for online sales, with $7.9 billion spent. But the online sales season is still in full swing. The world is full of last-minute shoppers who shop right up to the end of the holiday season. According to a Dropoff survey, 77 percent of online shoppers plan to do last-minute shopping. This gives retailers a great opportunity to finish strong in 2018. Here are some ways for you to accomplish this. For greater customer loyalty and satisfaction, look to same-day and next-day shipping. Combine these with clearly-defined cutoff deadlines for getting shipments by Christmas Day. Other than same-day and next-day options, clearly state your cutoff dates next to products and at checkout. Make sure your delivery times are fast, so the packages under the Christmas trees on time. The reward of doing this is “90% of consumers are likely to recommend a retailer to others after purchasing a holiday gift that arrives on time or early,” Dropoff reports. You can also show appealing gifts ready to go for different segments of your target market. If your audience is fairly homogeneous, look to segment gift choices by price or personality. Make your curated offers simple to quickly click and buy. Market them attractively and prominently on your site. Provide visual countdowns to the last day of Christmas to create urgency. Last-minute shoppers love gift cards. And they’re not the only ones. For the 12th year in a row, gift cards top the National Retail Federation’s list of desired gifts. Make sure your gift card options are attractive and easy to find. Promoting them on your homepage, like ShipStation customer Grace and Lace, is a great way to do that. People love giving and receiving gift cards due to their ease of delivery. According to Blackhawk Network, people love virtual gift cards because of the nearly instantaneous delivery times, notification messages, and the ability to include a digital greeting card. Gift cards can also create greater profits for you. 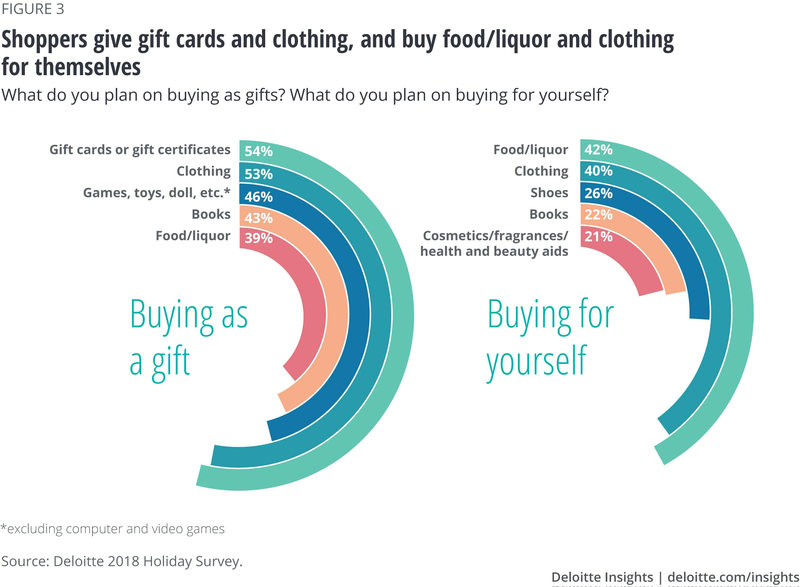 A 2017 study by First Data found consumers spent an average of $38 more than the value of the gift card they received. It’s acceptable and even expected to have more promotions during the holidays. Last-minute holiday shoppers may need that extra prompt. Reward them with discounts or bundles if they act fast. For example, in 2017, Nike, Inc. ran a successful $20-off promotion via email. Nike reminded customers they must place their online orders by 5 p.m. Eastern on the Wednesday before Christmas Day the following Monday to receive free two-day shipping. Also create exclusive social media offers for customers that make them feel they are getting a secret deal. Holiday buyers aren’t just buying gifts for others this season! Nearly 80 percent plan on buying something for themselves as well as friends and family this month. Review your customer data and personalize offers for return customers. Did Jane buy a funky pair of shoes last year? What’s the next item in that brand she might buy? Make it easy for your customers to buy on-time holiday gifts for friends, family, or themselves. Invest in targeted, creative marketing and last-minute promotional offers. Hone your email and text subject lines to convert. Finally, ensure your online gift cards are well-branded and seasonal. Then ring in the new year with champagne and profits!